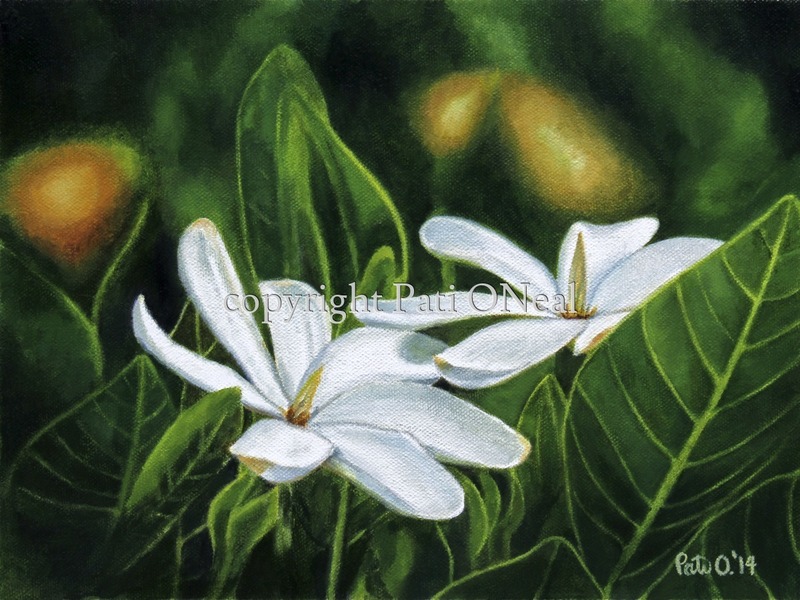 Also known as Tahitian gardenia, sits reverently in the cool shade. Original oil on canvas is framed in a simple back frame. Currently available at Sunshine Arts in Kahalu'u or contact the artist for a similar commission.